Lord, have mercy on us. Christ, have mercy on us.Lord, have mercy on us. Christ hear us. Christ, graciously hear us. God the Father of heaven, Have mercy on us.God the Son, Redeemer of the world, Have mercy on us.God the Holy Spirit, Have mercy on us.Holy Trinity, one God, Have mercy on us. We salute you, O Virgin, who gave your blood for the defense and faith of Jesus Christ. Lamb of God, you take away the sins of the world, Spare us, O Lord.Lamb of God, you take away the sins of the world, Graciously hear us, O Lord.Lamb of God, you take away the sins of the world, Have mercy on us. 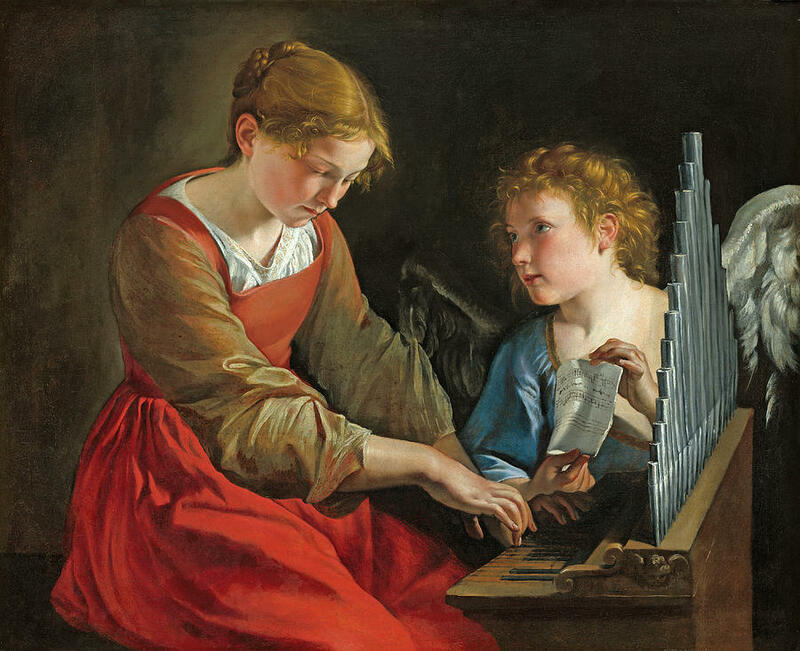 God glorified St. Cecilia, And He crowned her virtues. Let us pray, O Eternal God, who gave us in the person of St. Cecilia, a powerful protectress, grant that after having faithfully passed our days like herself, in innocence and holiness, we may one day attain the land of beatitude, where in concert with her, we may praise you and bless you forevermore in eternity. Amen. In honor of this festive day. And harken to their humble prayer. Say 1 Our Father, 1 Hail Mary, and 1 Glory Be each day of the Novena.